I had a couple problems with the IRS and the State after closing my business. I met with Mr. Patrick Sheehan and was amazed in how comfortable I felt upon leaving our meeting. Since then he has shown and practiced the utmost professionalism and knowledge interacting with both the IRS and State issues, while putting my life at ease. He runs a class act operation as well as the classy employees working for/with him. Our taxpayer owned and operated a restaurant. As is normal in cases like this, the taxpayer’s family members were regular visitors to the restaurant and helped out from time to time, especially when the taxpayer needed to be away from the restaurant to attend to personal matters. The taxpayer’s brother was a frequent visitor to the restaurant and the taxpayer’s son actually worked for the restaurant. Unfortunately, the restaurant had unpaid federal Form 941 liability due to the IRS, and the restaurant subsequently closed. The IRS then began to look at the owners, officers, shareholders and the taxpayer’s family members as potential targets of the Trust Fund Recovery Penalty because the restaurant was now shuttered. In addition to proposing to assert the Trust Fund Recovery Penalty against the taxpayer, the IRS also seriously considered also assessing liability against his brother and son. We were able to persuade the IRS to not assert the Trust Fund Recovery Penalty against the brother or his son. Further, we were able to persuade the IRS to deem our taxpayer as temporarily uncollectible so that he is not subject to any enforced collection action by the IRS. 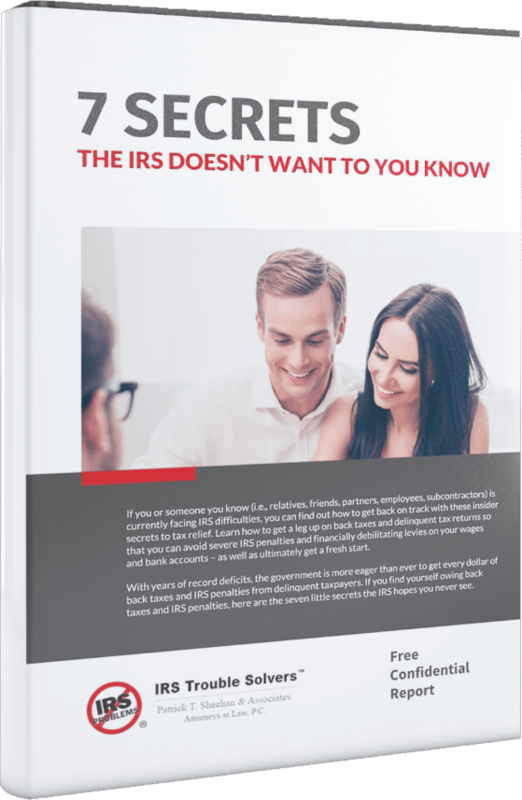 Do you owe money to the IRS related to a closed business? Call us, we can help.